A recent study shows that frequently copying your supervisor in emails reduced trust level among employees. This classic, age-old wisdom has been passed around, with the best intentions, for years now. But a recent set of studies undertaken say that copying your boss, leader or manager in email threads simply to ‘keep them in the loop’ results in reduced trust among colleagues. David De Cremer, KPMG professor of management studies at Judge Business School, University of Cambridge, headed a series of six studies (experiments and surveys) to understand how cc’ing team leaders impacts organisational trust. He talks about his study and the results in Harvard Business Review. 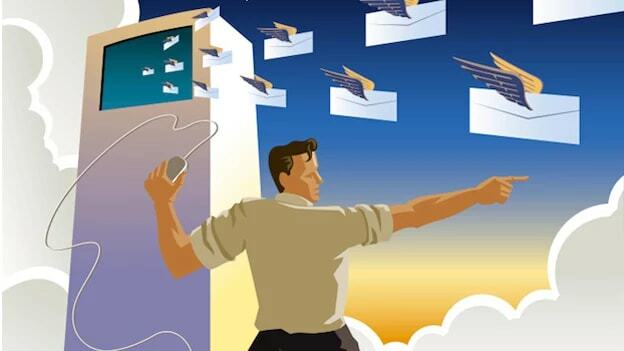 Although the academic paper is under review and the findings preliminary, the study has established an inverse relationship between the frequency of copying your boss in emails and trust levels. In the experimental studies (done with 594 working adults), the results showed that the situations wherein the manager was ‘always’ cc'ed, the recipient of the email felt significantly less trusted. This was in comparison to those who ‘sometimes’ or ‘almost never’ cc’ed their bosses. Furthermore, the organisational survey (conducted with 345 employees) mirrored the same results, as more often the respondent perceived that a co-worker copied their supervisor, the less trusted they felt by the co-worker in question. The author goes on to claim that this deficiency of trust manifests itself as a culture of fear and low psychological safety, forcing employees to infer that organisational culture must be low in trust overall. The study says that regardless of the geographical position, the trend prevails, as both western and Chinese employees saw copying in leaders as a potentially threatening move. However, the author also says that those who copy in their supervisor in emails regularly are well-aware of the fact that this action will lead to reduced trust levels. This means when your colleague adds your boss to the email thread, they may be doing so strategically, fully knowing the effect it is likely to create. What does the author of the study infer? NEXT STORY: The playing field isn’t level!